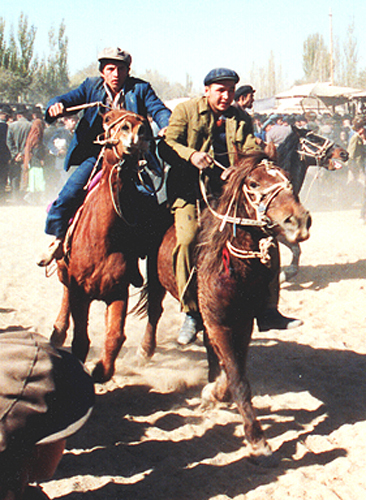 The immense region of Xinjiang, situated in the far West of China, is its largest province. Xinjiang shares international borders with no less than 8 different countries; from North to South these are: Tajikistan, Mongolia, Kazakhstan, Kyrgyzstan, Tajikistan, Afghanistan, Pakistan and India. Within China, the region borders on Gansu, Qinghai and Tibet….